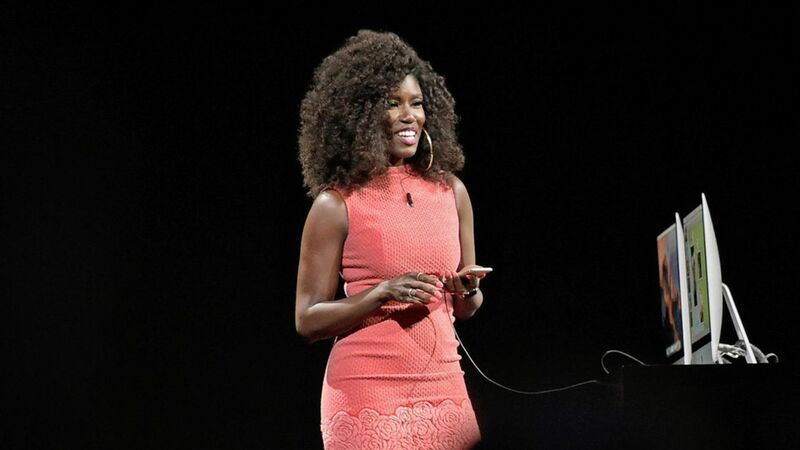 Bozoma Saint John, the Apple executive who garnered significant attention for her demo at last year's worldwide developer conference, plans to leave the company, Axios has learned. Saint John was head of Global Consumer Marketing for Apple Music (and predecessor Beats Music). Prior to that she was head of music and entertainment marketing for Pepsi. Why it matters: While Apple has several women of color in higher-ranking positions, Saint John had a high profile beyond Apple and was widely praised for her on-stage work last year. She was also fairly unique among Apple executives in maintaining a strong personal brand beyond her work identity, with a strong following on Instagram and Twitter. Her exit also comes shortly after Apple shifted former HR head Denise Young Smith to a new role as VP of diversity and inclusion.